I finished this hat last night and let me tell you, I'm in love. Now, it looks good on the styrofoam head...but it is SMOKIN' on a real head with hair and stuff. This is the best picture of me from last night's photo shoot. You KNOW I think I am too cute in this hat. 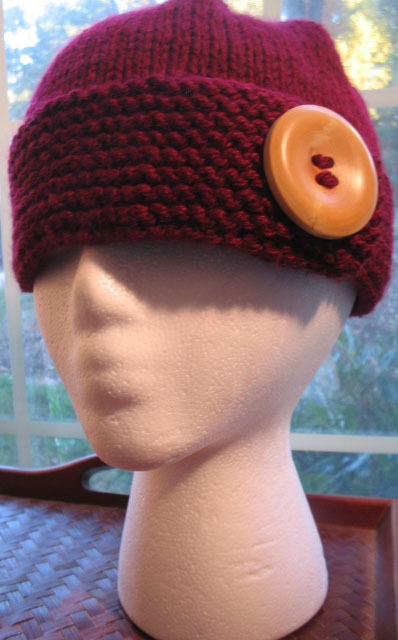 I'm not normally a hat person, but I'm going to rock this one all winter. Already thinking of making myself one in black. I wore it to work today and I've already gotten a request for one. 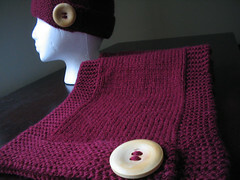 I wanted to offer a pattern on my site for you guys to use as a quick-to-knit Christmas gift. I'm borrowing that idea from Black Purl Magazine's contest last year where they challenged readers to create patterns for Christmas gifts that took no longer than a weekend to finish. 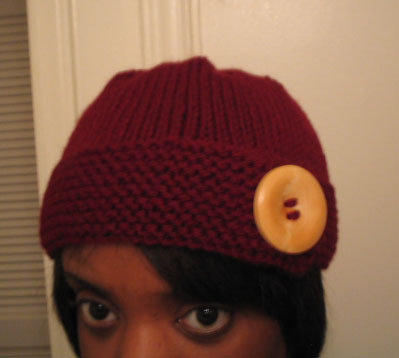 It only took me about 2-3 4-5 hours to knit this hat. You may download the pattern for free, dear readers. You may use it for non-commercial use only. Look in the side bar on the right for the link. Please let me know if you have problems downloading it. I love your Republic hat pattern. I am a new knitter and have a question. 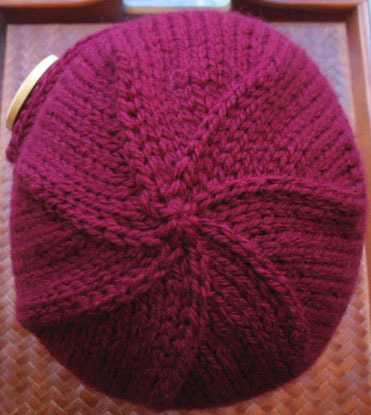 I knitted the first 2 inches for the brim on circular needles using the magic loop method. Then I tried to bind off the 13 stitches and keep going, but it did not make a "flap", but made a kind of hole instead. I'm not sure what I did wrong? Thanks in advance for any advice!